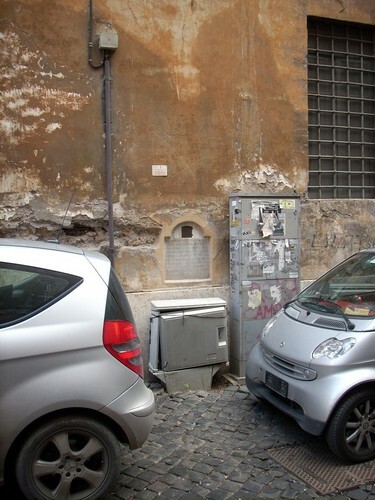 On a lateral wall of the church of San Salvatore alle Coppelle, in Rome (Via delle Coppelle), a curious marble mailbox of the 18th century can still be seen. 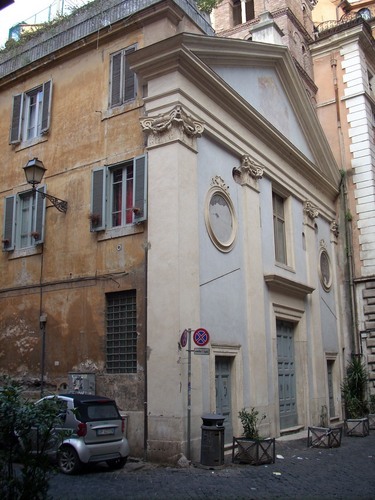 Since 1663, the "Confraternita della Divina Perseveranza" (Brotherhood of Divine Perseverance), which took up residence in this church, nursed sick travellers lodging in town's hotels. 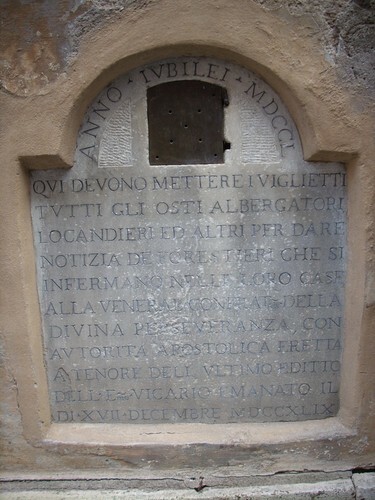 Starting with the Jubilee of 1750, the hotel keepers of the city had to notify the presence of a sick pilgrim in their houses by putting a note into this mailbox1. 1. See I.De Tuddo, I diavoli del Pantheon e altre curiosità romane, Quasar, Roma s.d., pp. 204-7.